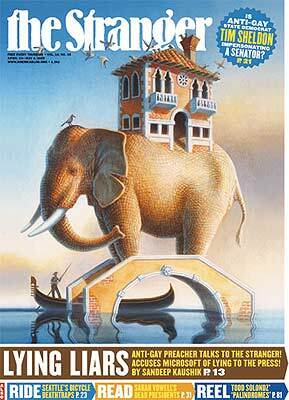 Reproduced on the cover of Seattle's weekly Arts and Entertainment guide, "Elephant Bridge" was also the postcard for the exhibit "Italian Influence." It is one of 37 paintings which are the result of the artists three week pilgrimage to Italy to visit the famous works of the Renaissance. The original oil painting measures 30" X 24" and was completed in the fall of 2004.